February 5, 2010  Immunization against some common diseases can go a long way toward protecting older people from serious health problems. But a look at national vaccination rates shows lots of room for improvement. February 3, 2010  When scientific facts are complicated or unclear, our emotional instincts can overwhelm logic. An expert on risk perception and communication takes a look at lessons from a discredited study that raised fears about autism and vaccines. February 2, 2010  A flawed scientific study that fueled a backlash against vaccination is being withdrawn 12 years after it was published. Parts of the paper were found to be "incorrect." Why Aren't You Getting Your Seasonal Flu Shots? 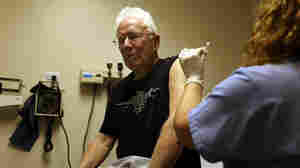 December 9, 2009  Despite repeated government calls to "Get yer flu shots," the same number of Americans stepped up to get seasonal flu shots this year as last — about a third of all adults. October 26, 2009  Overly optimistic projections and a slew of manufacturing problems have led to disappointment on vaccine against the new H1N1 virus. October 23, 2009  Persistent shortages of swine flu vaccine are taxing the patience of worried people and triggering criticism of the government's response to the pandemic. October 7, 2009  Inadequate supplies of the seasonal flu vaccine and a shift to swine flu vaccination has led to cancellation of some clinics. 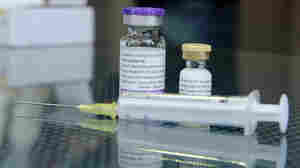 October 6, 2009  An experimental vaccine helped reduce cocaine use, but the effect was modest and short-lived.